Karen Azenberg, a past president of the Stage Directors and Choreographers Society, stumbled on something peculiar before the union's 2015 move to new offices: a 52-year-old sealed envelope with a handwritten note attached. It was from Agnes de Mille, the groundbreaking choreographer of Oklahoma! and Rodeo. De Mille, a founding member of SDC, had sealed the envelope with gold wax before mailing it to the union and asking, in a separate note, that it not be opened. The reason? "It is the outline for a play, and I have no means of copyrighting…The material is eminently stealable." Agnes de Mille's seal remains intact. Kitty McNamee is one choreographer imagining de Mille's "eminently stealable" idea.
. Photo by Carol Rosegg, Courtesy Sam Rudy Media Relations. Tony Yazbeck plays the tormented John Marcher in The Beast in the Jungle. Photo by Carol Rosegg, Courtesy Sam Rudy Media Relations. With his debonair charm and fluent feet, Tony Yazbeck seems built for ebullient men like Gabey in On the Town, who earned him a 2015 Tony nomination. But he's riding high at the moment dancing nervous breakdowns. First, there was his fierce, knife-edged tapping in Prince of Broadway, which just won him a Chita Rivera Award. (Full disclosure: I'm a juror.) Now he's giving a tour-de-force performance as a restless womanizer in The Beast in the Jungle, having its world premiere at the off-Broadway Vineyard Theatre through June 24. Both were choreographed for him by Susan Stroman. 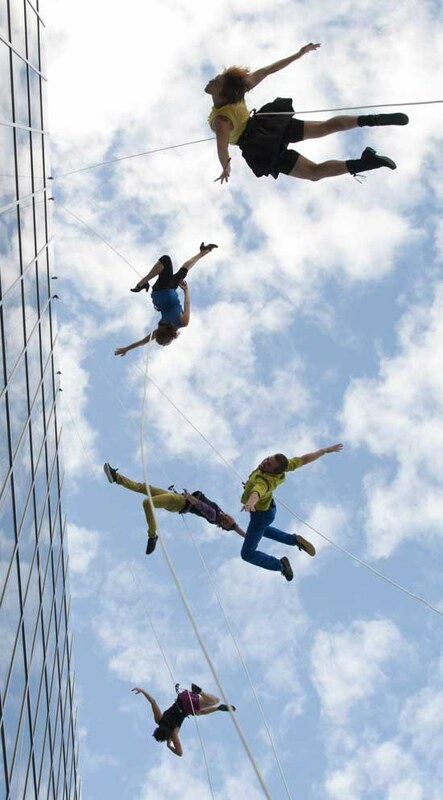 Look up, Nashville: Bay Area vertical dance company BANDALOOP is taking over downtown buildings on Oct. 6. The special event will kick off the company’s performances of Harboring at the city’s new contemporary arts venue, OZ, where dancers will hang from three different spaces as audiences are guided from one room to another. Oct. 10–11. oznashville.com. Above: BANDALOOP at the New World Center in Miami Beach. Photo by Atossa Soltani, Courtesy Blake Zidell & Associates. Giordano Dance Chicago has expunged the word “jazz” from its name. But judging from its next premiere, the company could put that word back in. Commercial artist Ray Leeper, who has choreographed for Cher and Snoop Dogg and on “Dancing with the Stars” and “So You Think You Can Dance,” is cooking up a piece with touches of Broadway flavor. Oct. 24–25, Harris Theater in Millennium Park. harristheaterchicago.org. Right: GDC’s Martin Ortiz Tapia and Maeghan McHale. Photo by Gorman Cook Photography, Courtesy GDC. After four decades as a duo, Eiko & Koma are taking on separate ventures. While Koma delves into visual arts, Eiko is working on a long-term project that places her body in different environments. This month, she performs Eiko: A Body in Station in three-hour stints at Philadelphia’s 30th Street Station. It may be rush hour for others, but it’s the opposite for Eiko. Select dates, Oct. 3–25. pafa.org. Left: Eiko; Photo by William Johnston, Courtesy Johnston. Edgar Degas’ sculpture Little Dancer Aged Fourteen is one of the most famous works of impressionist art in the world. But very few know of its seedy back story. The girl who modeled for Degas, Marie van Goethem, was a poor dancer at the bottom of Paris Opéra Ballet’s ranks, whose father died when she was young, leaving her mother to raise three girls on a laundress’ meek income. In Little Dancer, Susan Stroman’s new half-fact, half-fiction coming-of-age musical, Marie is caught stealing from Degas to pay for pointe shoes. The punishment: She must pose for the artist to pay off her debts. New York City Ballet principal Tiler Peck, who first worked with Stroman in The Music Man at age 11, will dance (and act and sing) her way through the role of Young Marie. “It’s a lighthearted story, but it’s also dark,” says Peck. “I think everyone, especially dancers, can relate to it. Ballet is such a difficult career. We all have to have a little fight in us to get to where we are.” Catch its premiere at The Kennedy Center, Oct. 25–Nov. 30, and stop by the National Gallery of Art, where the original sculpture will be the centerpiece of a Degas exhibition. Oct. 5–Jan. 11. kennedy-center.org. Right: Tiler Peck as Young Marie. 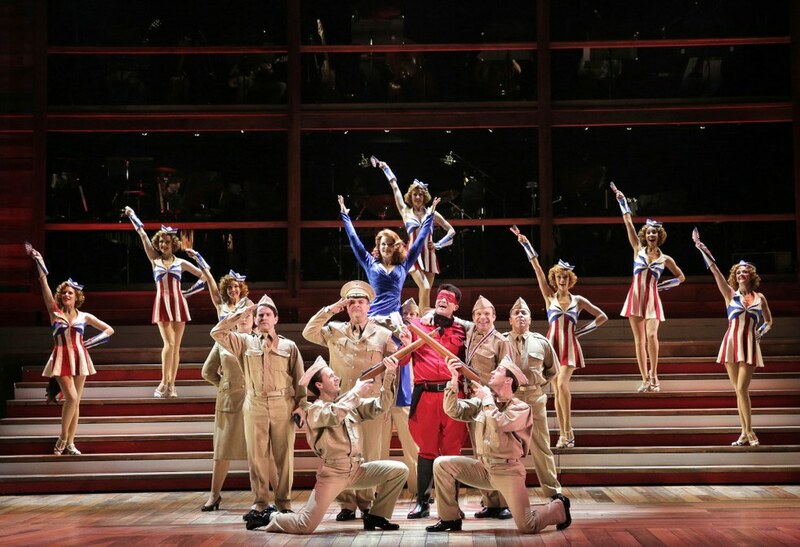 Photo by Matthew Karas, Courtesy The Kennedy Center. New York City Ballet dancer Troy Schumacher has quickly made a name for himself for his fresh perspective on the neoclassical vocabulary. He had his choreographic debut with NYCB in September and this month, his pickup company of NYCB dancers, BalletCollective, will premiere two works. Oct. 29–30. nyuskirball.org. Left: BalletCollective’s Harrison Coll and Ashley Laracey. Photo by Whitney Browne, Courtesy Dancers Responding to AIDS. Bram Stoker’s vampire tale is becoming the Nutcracker of All Hallows’ Eve. Here’s where you can catch it this month. 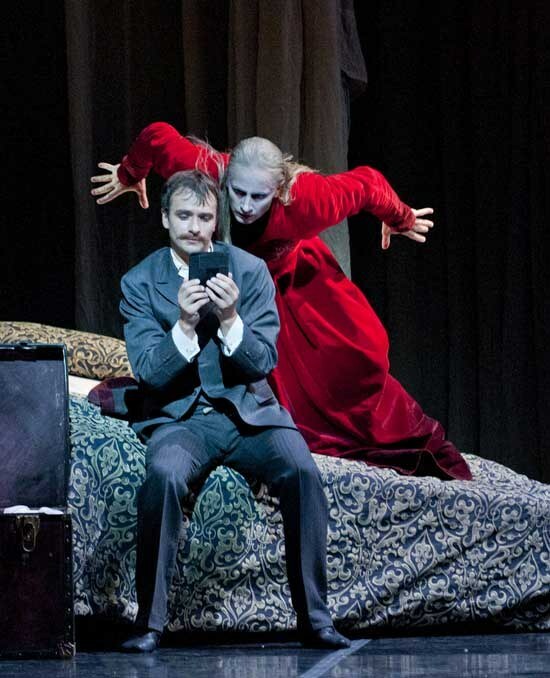 Right: Colorado Ballet’s Dracula. Photo by Terry Shapiro, Courtesy Colorado Ballet. What makes choreography compelling? Whether you consider a work’s musicality or steps, formations or narrative, it often comes down to one thing: the element of surprise. Justin Peck is a master of this. He’ll bring two partners together for what seems like the beginning of a sumptuous lift—and then have them take off in opposite directions. Or he’ll ask the corps to hit an elegant classical position—while lying on the floor. This ability to counter expectations has skyrocketed Peck from a dancer dabbling in dancemaking to a national force in choreography in just two short years. Now New York City Ballet’s official resident choreographer, Peck will be creating or setting work on five major companies this season, and a documentary about his creative process, Ballet 422, is about to be released nationwide. The ballet world has been waiting anxiously for the next Christopher Wheeldon, the next Alexei Ratmansky. I think we’ve found him. Right: “With Justin, it wasn’t difficult to see the raw gifts that he possessed right away.”—NYCB ballet master in chief Peter Martins on his company’s new resident choreographer. Photo by Jayme Thornton. Peck’s not the only reason to be excited about the fall performance season. As budgets seem to have (mostly) recovered from the recession, it feels like the pent-up artistic energy finally has the resources to be let out. We’ve got the scoop on the 10 most intriguing premieres and tours going on around the country. These are the productions that everyone will be talking about. And yes, one of our picks is NYCB’s fall season, which boasts world premieres by Ratmansky, Liam Scarlett—and Justin Peck. In this issue we also offer a peek inside the life of a Broadway dancer while she is between gigs. Leah Hofmann is scheduled to start rehearsals of Susan Stroman’s The Merry Widow soon, but she let us follow her around for a day while she juggled side gigs, an audition, jazz class and a meeting with her agent, and she shared insight into how she makes it all work. She’s learned all too well the unpredictability of this career: Shows get cancelled, roles get assigned at last minute, choreographers ask for skills you didn’t know you had. She stays prepared for whatever opportunities might come her way. Because life isn’t all that different from dance: The surprises are often the best parts. 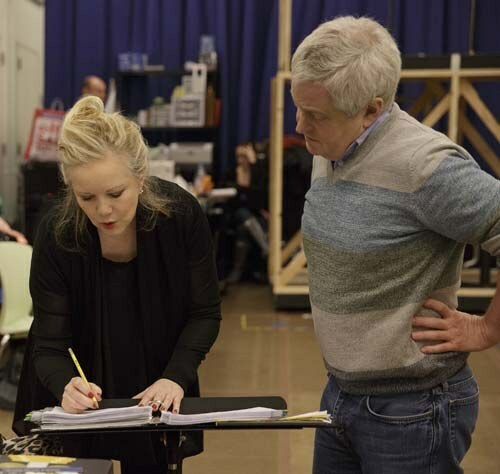 Susan Stroman’s visual wit makes her a natural for adapting Woody Allen. Stroman rehearses ensemble members. All photos by Paul Kolnik, Courtesy Bullets. Little old ladies cutting loose with their walkers in The Producers. A total klutz tangling his arms and legs around the fabulously lithe Girl in a Yellow Dress in Contact. A horde of brides, veils flying, tearing across the stage to catch a husband in New York City Ballet’s Double Feature. It’s hard to think of a big-time choreographer more closely identified with comedy than Susan Stroman. Even before she directed and choreographed The Producers, Stroman’s wit had flashed through the dances in Crazy for You, Show Boat, The Music Man and Oklahoma!, not to mention pieces the five-time Tony winner made for the Martha Graham Dance Company and NYCB. When she teamed with funnyman Mel Brooks on The Producers, in 2001, it was a match made in farce—and box office—heaven. So for Woody Allen to ask anyone else to direct and choreograph a stage version of his 1994 movie Bullets Over Broadway, or for her to say no, would have been sheer folly. The Bullets Over Broadway plot, set in 1929, concerns a struggling young playwright, a gangster with a knack for drama and an actress girlfriend, and one of the most delicious divas ever to bite down on a cigarette holder. (Dianne Wiest won an Oscar for her film performance.) And Allen, a clarinetist whose fondness for early jazz is evident not just in his movies but in the Dixieland gigs he’s been playing in New York nightspots for decades, wanted to fill the musical with songs of the period. Dance captains: Synthia Link, who was a swing in Stroman’s Big Fish, and Eric Santagata, who assisted Stroman on The Scottsboro Boys. Associate choreographer: James Gray, a dance captain on The Producers and Young Frankenstein. Above: Stroman with music supervisor Glen Kelly. Big Fish blends fantasy numbers with family drama. Photo by Paul Kolnik, courtesy Big Fish. At this point in her brilliant career, Susan Stroman can pick her spots. And after the runaway success of The Producers, she could have kept coming back to Broadway every few seasons with a musical comedy full of her witty, high-gloss production numbers and loaded with built-in box office pull. But she’s chosen a riskier path, directing and choreographing challenging material with distinctly downbeat themes—a dark tale of adultery and murder adapted from French novelist Émile Zola (Thou Shalt Not), a meditation on life and death (Happiness), a shameful miscarriage of justice in 1930s Alabama (The Scottsboro Boys). Sylviane Gold writes on theater for The New York Times.